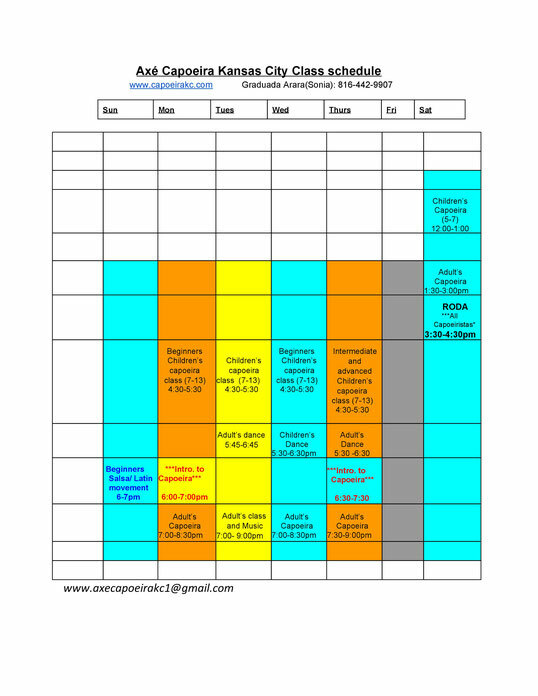 These are ongoing classes; anyone who has completed the adult "Introduction to Capoeira" a 3 month program can join. 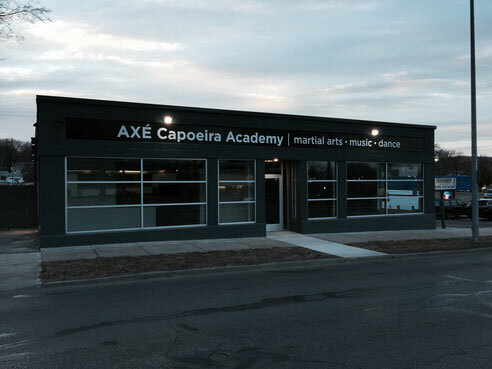 This class is designed to continue to build your Capoeira foundation and to teach you more ways to move from your base exploring new ways to express yourself through the art of Capoeira. We will continue to focus on developing: rhythm, reflexes, balance, coordination and increasing strength and flexibility. 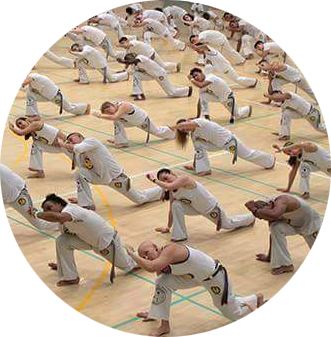 This is a more advanced level of training for students who have already progressed through the belt system used in Capoeira. This class will cover all aspects of Capoeira ranging from basic moves to more complex movements and sequences and acrobatics. 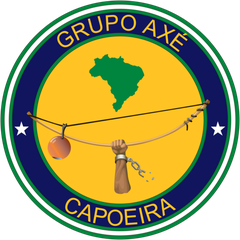 Students at this level are expected to gain a better understanding of Capoeira as a whole (history, music, game, etc…) by participating in all that is offered at this school: Rodas, music and dance classes and performances. These classes are usually longer and more physically and mentally demanding. This class is suited for students from intermediate to advanced instructors and top professionals of Capoeira. the more you train, the faster your body will adapt. helps, but can be earned if not previously acquired. If you try Capoeira it will likely be one of the most rewarding challenges you will ever undertake. Your body will become stronger, your mind sharper. You will develop self-confidence, better balance, improved flexibility, and lasting friendships after just a few classes.